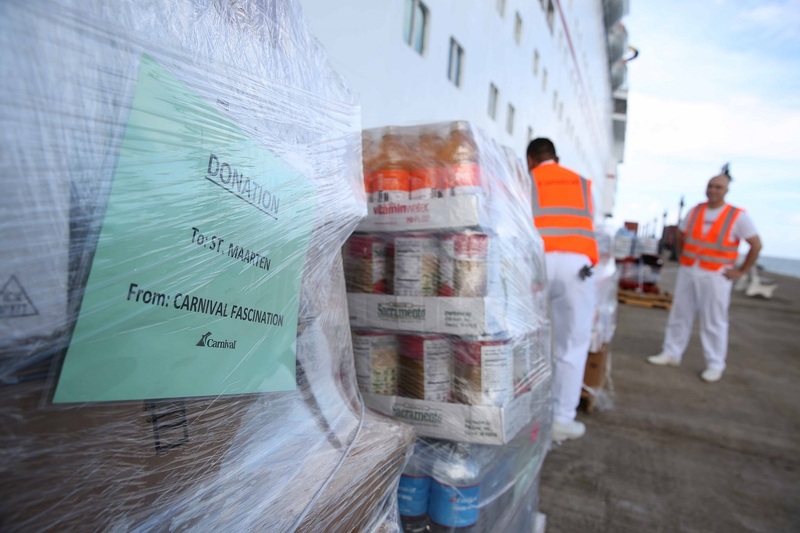 Continuing Carnival Cruise Line’s hurricane relief efforts, Carnival Fascination delivered pallets of critical supplies, including water, canned food and other items, during a port call in St. Kitts to be delivered to the island of St. Maarten which has been impacted by the storm. The donation was made during Carnival Fascination’s current seven-day cruise from San Juan. Additional Carnival ships will be making similar relief drop-offs during upcoming cruises to impacted destinations such as St. Thomas, Grand Turk, Barbuda (via Antigua) and Key West in the coming days and weeks. Carnival Cruise Line’s parent company, Carnival Corporation, the Miami HEAT Charitable Fund, and the Micky and Madeleine Arison Family Foundation are pledging up to $10 million in funding and in-kind support for relief and rebuilding efforts in Florida and throughout the Caribbean following Hurricane Irma. For Hurricane Harvey, Carnival Cruise Line, Carnival Corporation and the Micky and Madeleine Arison Family Foundation have already donated $2 million to support the relief and rebuilding efforts. Carnival guests can also participate in the relief effort by clicking here or texting SUPPORT to 707070. Our thoughts are with everyone affected by Hurricane Harvey and Hurricane Irma.